Smart drug, brain supplement, cognitive enhancer, nootropic, the God pill.. whatever you want to label it Qualia definitely is unique. 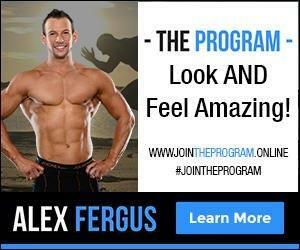 Unique in that people across the world are raving about the profound benefits they are experiencing as a result of this supplement. But is this hype behind Qualia justified? What are the ingredients that power Qualia? And most importantly, what is is like taking Qualia? All this is revealed below. (Note, below I have shared my honest opinion based on the facts and my experiences with Qualia. Though I am am affiliated with the company. If you use the Qualia Discount Code FERGUS you will save on your Qualia order and I will get a small commission). As I mentioned in my opening sentence, Qualia has many labels. But in really simple terms, Qualia is a supplement that is designed to help with brain performance. It is a two step formula that you take on a cyclical basis in the morning. Step one you take on an empty stomach as soon as you wake up. Step two an hour or so later with food. The unique formula (which I will cover in more detail below) has been designed to help optimise and enhance cognitive function and brain help. For a more technical explanation, let's see what the designers themselves - The Neurohacker Collective - say about Qualia. Qualia is designed to nourish the mind with over 40 premium brain nutrients to immediately enhance focus, energy, mood, and creativity, while supporting long term brain health. What is in the Qualia formula? A lot! Though the ingredient list is rather impressive. A lot of ingredients packaged into a pill right?! In a nutshell, these ingredients are shown to help with cognitive function and memory. I'm not going to explain the benefits of each ingredient, nor will I list all the references to support the claim... why? Because this will end up being a 6000+ word article and secondly because it has already been done over at The Neurohacker Collective website. So for all the benefits and references to support these ingredients please head to the Neurohacker Collective website here. For full benefits/references click HERE. I told you there were a lot of neat ingredients within. So having all these ingredients in one package is rather convenient for a health nerd like myself. But not everyone is like me, and not everyone is looking to health and performance edges through mushroom extracts and choline donors. A long list of ingredients is great, but only if they do what they're meant to do, and only if they come in the right doses... and only if the quality is good... I cover all of these points in my article What You Need To Know About Supplements. Fortunately, Qualia label all the dosages and types of ingredients they use on their label and website. There is no hiding behind a 'proprietary blend' sticker (aka a 'we're not telling you our formula') that a lot of supplement manufacturers use. This is a good thing for Qualia. It means users can be assured of what they are taking, how much they are taking and if they're getting their money worth. For example, BioPQQ is an expensive supplement. A supplement manufacturer could simply state that BioPQQ was in their propriety blend without stating how much was actually used. They could do these whether there was 10mgs (which is a decent dose and is the amount in a serving of Qualia) or 0.1mg (which is not really going to do much good). Also, Qualia share the form of ingredient used. Rather than simply saying 'Magnesium', they go beyond that and show the exact type of magnesium used (in Qualia's case they use Magnesium Threonate - which is shown to be superior at crossing the blood brain barrier - great for a formula focusing on brain performance). Lots of great ingredients, but it does mean lots of pill popping! Here we see a standard daily serving of Qualia. As for whether they are beneficial? Answering that question with such a large list of ingredients would require a full time PHD student for a few years! Pick an ingredient, and search Pubmed for peer-reviewed research on said ingredient. Or you can shorten things further, and look at the research shared on the Neuro-Hacker website supporting the use/benefits of each ingredient. Or, you can skip all of that and simply try the product itself and see if you notice the benefits of Qualia. What Is The Benefit Of Qualia? I was fortunate enough to have a lengthy conversation with Daniel Schmachtenberger, a core team member of The Neurohacker Collective. 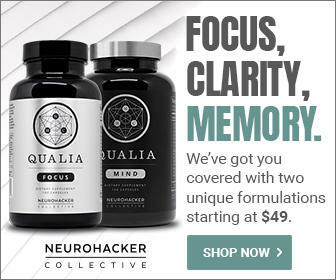 Daniel explained to me how the real magic in Qualia's brain and cognitive enhancing benefits, is not just the powerful ingredients used in the formula, but their synergistic properties. Also, he noted, that Qualia was more than a short term brain booster, instead it was formulated in a way that would help boost long term brain health and brain performance. Many nootropics are focused on only optimizing neurochemistry for short term effects. We’re interested in going a step further, and addressing long term cognitive health benefits, including new neuron and synapse development, increased mitochondrial ATP, healthier cell structures, and increased neural complexity. Qualia has been formulated as a whole body system. By not only supporting brain performance, but also mind, body and energy output Qualia achieves results that users are raving about. So what does all this mean in practical terms? What is going to happen when you take Qualia. And more importantly, what will happen if you take Qualia on a regular basis (note, if you do try Qualia, be sure to cycle the product on and off as per the dosage guidelines)? After looking through the ingredient list, speaking to the team, chatting to other Qualia users and also spending some time on the Qualia website I figured I had to give it a shot myself! As a first time experience, it was a little strange. Distracting even. It did get to a point where I wondered if this was normal, if I was ok, if I should take it easy and relax or if I should try and get some work done. Again, distracting as it was my first time. This 'energy' did die down and stabilise, and I did adapt to the feeling. I managed to get into work mode and cranked out some solid work. Later in the day however I hit a bit of a wall. Around 2-3pm I simply hit a wall. It lasted about 15-20minutes, and then I was fine again. That night I slept normally, and my Oura Ring score was normal. Did I have heightened awareness and improved cognitive performance? It's hard to say. 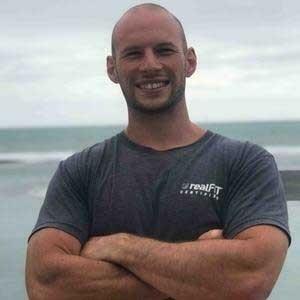 I have experimented with some nootropics in the fast, and I have definitely experienced these things (word recall was faster, focus was more profound, and mental energy was solid - no crashing or desires to switch off and have a break). But I couldn't tell if this happened on first use due to the wave of 'unstable energy' that I experienced. It was distracting, I was a little nervous and anxious as to what was going to happen, and I wanted to pay attention to how I was feeling so I could document it (rather than going with the flow and becoming engrossed in work etc). Starting with a 2/3 dose for someone who doesn't regular use caffeine/coffee/nootropics was probably too much to me as a first time use. I was distracted 'waiting' to see how I would feel, which may have impaired how I responded to Qualia on my first use. Qualia isn't meant to be a short term aid, in fact, as I mentioned above a lot of the benefits from Qualia appear after regular use. 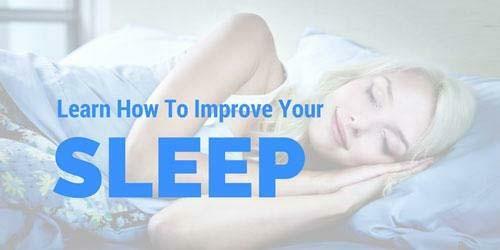 Plus, they even mention not to treat it as a crutch - for instance, it's not going to dig you out of a hole if you've had a bad nights sleep (they even say it works best after consistent good sleep). Those are my thoughts after my first time trying Qualia. But rather than finish here, I decided to update this article 2 months later after using Qualia on a regular basis. It's been 2 months since I first tried Qualia. I have been taking it consistently ever since, following the recommended on/off cycles. There is definitely something to it! When channeled properly, the 'energy' (energy is not the right term, but it's all I can think of at the moment) is quite powerful. When you get into that 'groove', into work mode, or flow state as some call it, Qualia really works wonders. Creativity is heightened, memory recall is solid, and you just 'feel good' while wanting to get the task at hand done. However, if pulled out from this state - distracted, or if you go and do something else that doesn't require much mental capacity (going for a walk etc) then it can almost be too much. You will get pulled from one direction to the next - you see something and that triggers a memory, then that triggers an idea, next minute you're scheming a new business venture, only to be pulled away with another idea. Uncontrolled it would leave me a little 'scattered'. However, if this was tamed, it was very powerful and I could get a lot of work done and produce some solid content. I found the full dose was simply too much for me. I personally couldn't handle the full dose (soft I know). It would leave me too 'scattered' and with my mind bouncing around. Also, a full dose would cause me to crash hard in the afternoon. We're talking full - I need to lie down - shut down. For those reasons I didn't use a full dose often. A two third dose was much more manageable. However it would still cause a mild slump in the afternoon. I could cope with this and would simply go and get some sun during this slump, or do the dishes or gardening etc. I found myself using a 1/3 dose a lot. It was a much more tolerable yet still noticeable effect. This was my 'normal day' dose. And there was no afternoon slump, which was great. Those are my experiences on Qualia! The science behind the product is solid, and the team are not only passionate but authentic. They live and breath this stuff. They're for real and they want to great a great product that helps people. The quality of ingredients used in Qualia are second to none. The best of the best. Plus the dosage amounts are shared - a huge plus. The ingredients themselves are also amazing, like I mentioned earlier, I actually take a lot of the ingredients in Qualia as stand-alone supplements. So having them bundled into one capsule is amazing. There is definitely something too it. It does help you with that 'flow state' and I notice profound changes to my state of mind and work when using Qualia. However, it can leave you (or at least left me) a bit scatter brained - especially with the full dosage. For me, a full dosage actually made it hard to focus. Apparently this is common and is why you need to experiment with dosing. The afternoon slump that I experienced on the full dose also sucked. I have worked long and hard to recover from my health ailments so that I didn't have an afternoon slump. Again though, this was remedied by cutting the dosage. Will I continue using Qualia? - sure. I will fluctuate between a 1/3 dose and the 2/3 dose on days I need that extra boost. 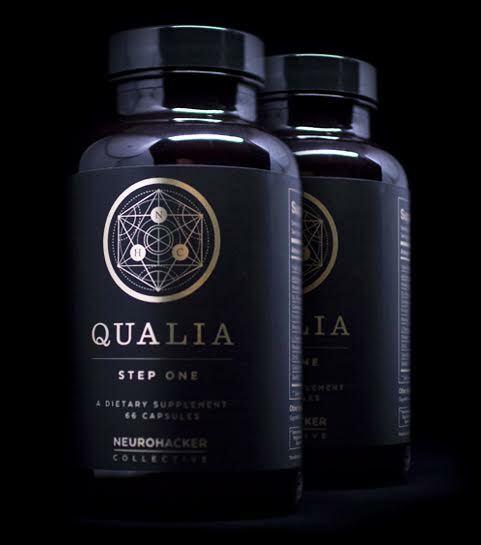 Also, this may seem a bit silly, but I see Qualia not only as a nootropic brain enhancer, but also as a really good multi-vitamin! Which is another reason why I will continue taking it. Oh and also I'm excited about the longer term cognitive performance benefits from using Qualia. I should've come up with an experiment of some sort to quantify this, but it's too late now. Anyway apparently there are some research studies going on looking at the longer term effects of regular Qualia use, so I look forward to seeing those results. And thats a wrap! I hope you got some great insight from this article (and video). If you have tried it, I'd love to hear your feedback and thoughts - just leave a comment below. 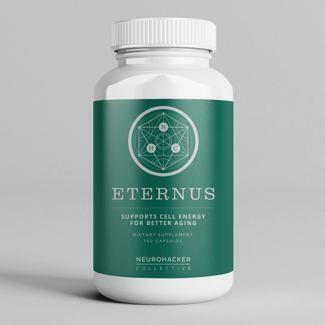 If you too would like to try it, you can use discount code FERGUS to save 10-15% off your order from www.Neurohacker.com . Order a bottle, experiment with it and let me know how you get on!